In a Nutshell: Everyday transactions — like online shopping and booking travel — are nearly impossible without some sort of credit card in your wallet. But many consumers don’t qualify for a credit card, either because of a new or damaged credit profile or the lack of a bank account. Green Dot has created a solution for those people with its Platinum Visa card. The card works with any merchant that accepts Visa and applicants don’t need a bank account or positive credit history to be approved. The card’s credit limit ranges from $200 to $5,000 and is equal to the amount of the refundable security deposit made when the card account opens. Responsible card usage can help cardholders’ credit score, as Green Dot reports card activity such as regular monthly payments to the three credit bureaus. The American economy runs on plastic. While some experts still stick to the notion that cash is king, credit cards have become so vital to consumer spending that not having one puts a person at a disadvantage. Whether it’s renting a car, booking a hotel room, or making an online purchase, credit cards are a vital part of everyday commerce. So what happens to those people who don’t qualify for a credit card — either because they have no or damaged credit or lack the bank account required by most credit card applications? Green Dot, with the help of modern technology, has created an option that helps just about anyone carry a credit card in their wallet. 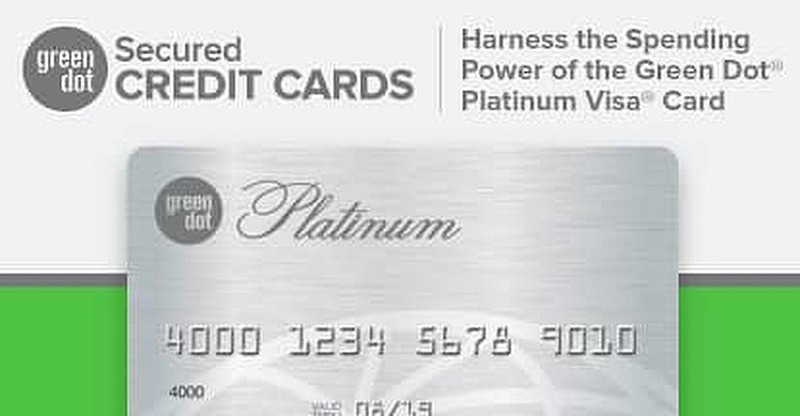 The company’s Platinum Visa card doesn’t require a bank account for approval, works with any merchant that accepts Visa, and is easy to use because customers can make the security deposit and monthly payments at thousands of retail locations using cash. Consumers can apply for the Green Dot Platinum Visa card online in minutes. Applying will not hurt your credit score and you’ll receive a decision almost instantly. Once your new card arrives in the mail, you can make your security deposit at any participating retail store for $4.95 and begin using your card in minutes. If you’re not in a hurry, you can mail in your security deposit check at no extra charge. There are thousands of Green Dot retail locations throughout the US, each with the ability to accept payments and security deposits in real time. If you’re in a hurry and need access to a credit card fast, Green Dot allows applicants to electronically send their security deposits before the card arrives in the mail. “A customer can make a security deposit during the application process with their prepaid debit card or credit card, and make payments via ACH using their account and routing number,” the spokesperson said. The Green Dot Platinum Visa charges a fixed 19.99% APR and a $39 annual fee. Your initial security deposit is completely refundable when you close your card account, as long as the account is in good standing with has no outstanding debts. The Green Dot Platinum Visa is a true secured credit card and not a prepaid card. As such, the Platinum offering provides a line of credit that is equal to the size of your initial deposit. Cardholders can make monthly payments online or at retail locations and Green Dot reports all payment activity to the three credit bureaus to help cardholders improve their credit rating. Any transactions made using a prepaid card simply eat away at the money placed on that card. Adding more money to a prepaid card keeps it active. 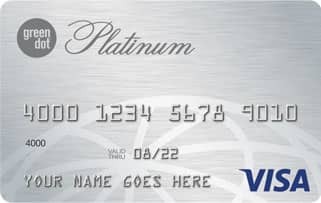 The Platinum Visa’s credit line revolves like a traditional credit card and doesn’t fluctuate based on how much money is on the card. Some transactions made at a retail location may require an additional fee of up to $4.95, depending on the retailer — which includes most Walmart, 7-Eleven, Rite Aid, CVS, and Walgreens locations. Credit cards are a necessity in today’s economy. When a consumer has access to credit, his or her buying power increases exponentially. The Green Dot Platinum Visa card gives the convenience of credit access without fear of rejection because an applicant lacks a bank account or positive credit history. Over time, responsible account usage helps cardholders improve their credit, which opens up the possibility to eventually move on to a traditional unsecured credit offering.